Unusual color and unique pattern, this fall leaves hand-knotted rug is handmade in the best quality wool and pure cotton material. The design is very pretty, intricate and has taken about 6-7 months to weave. Unique carpet and "one of a kind" design, this Fall Leaves pattern rug is a perfect epitome of a gorgeous surface. It has unusual colors and woven in the pure wool and finest quality of cotton material. The design has been originated from India. It contains different shades of green on the ground. 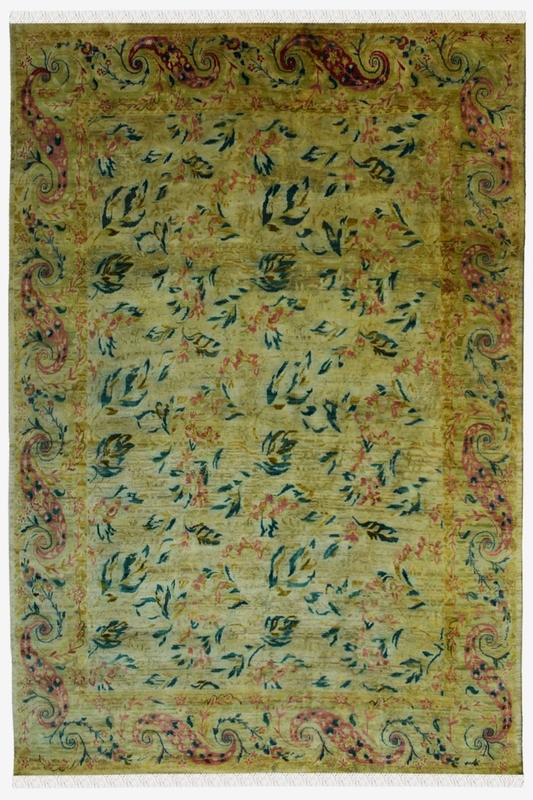 This piece could be used as a feature rug in a living room or a bedroom. The grond of the rug has a beautiful depiction of a fall season and suitable for all seasons.